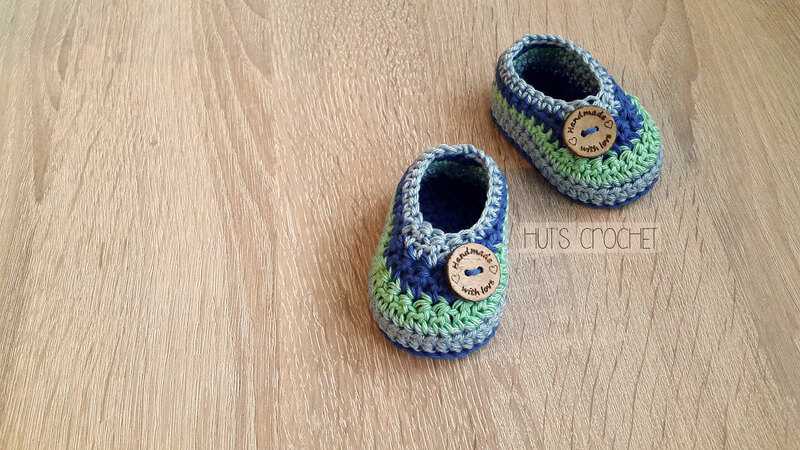 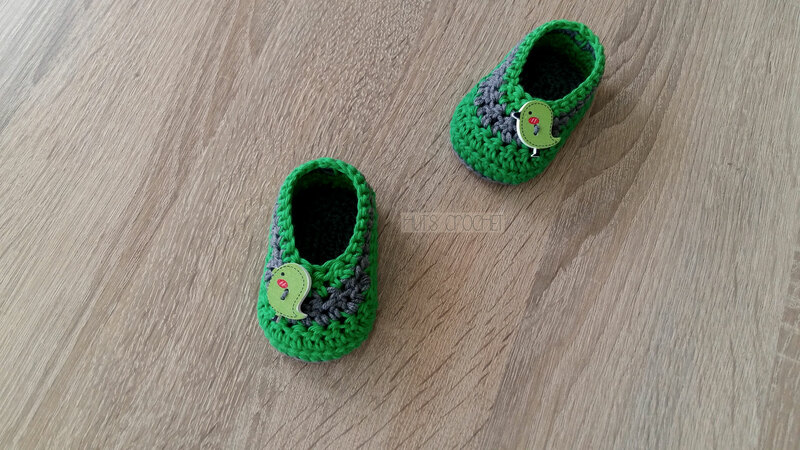 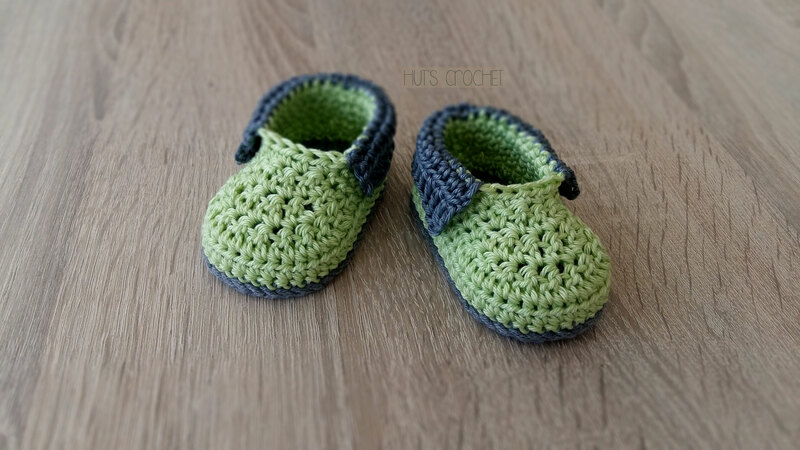 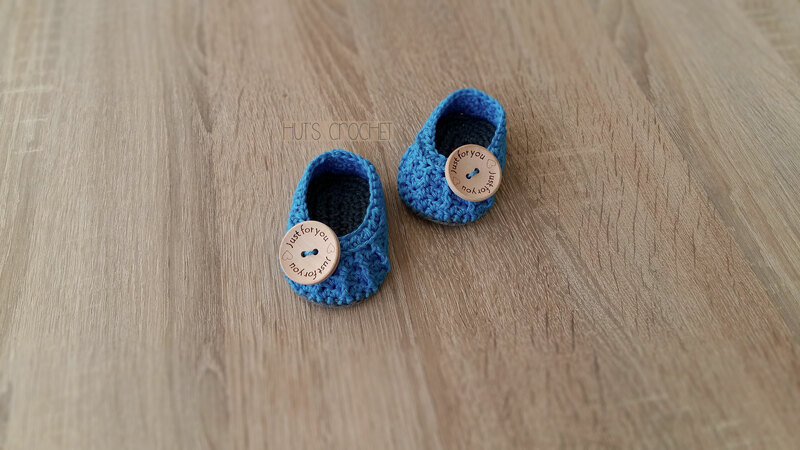 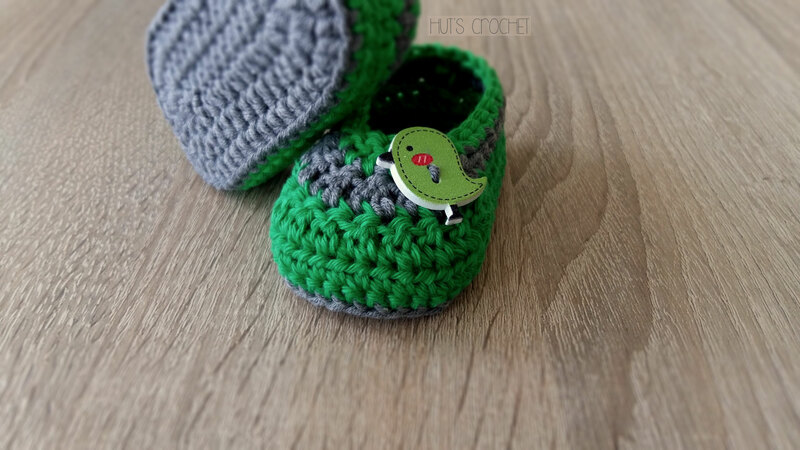 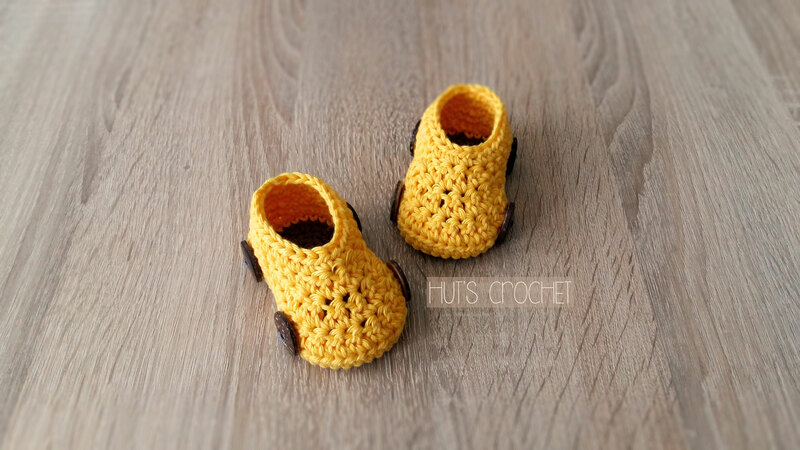 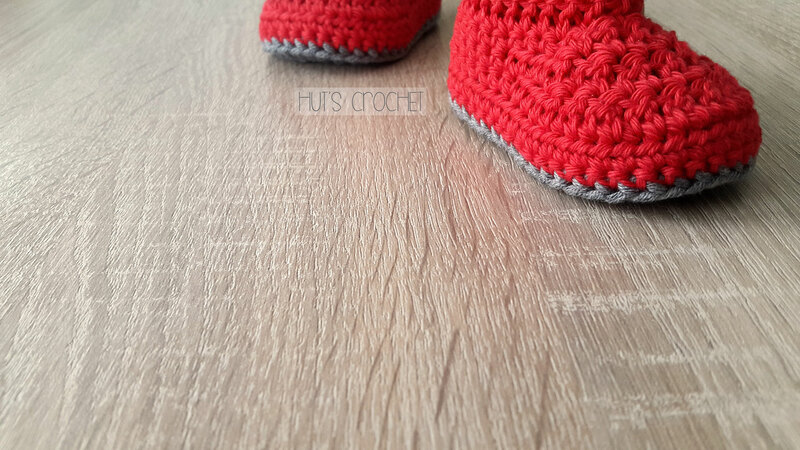 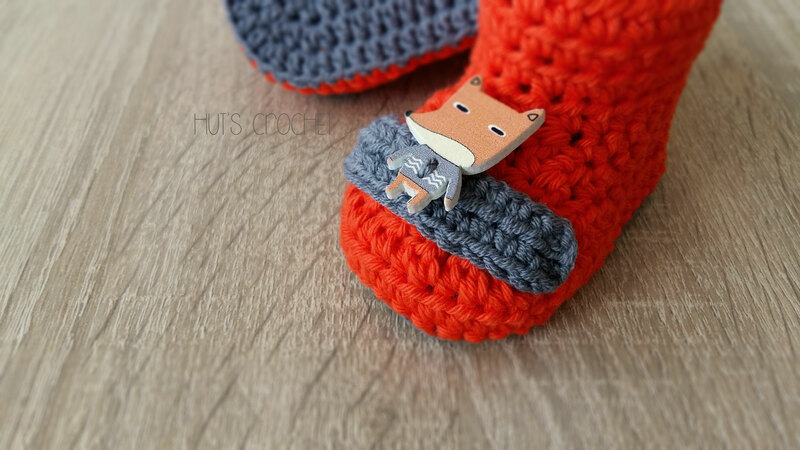 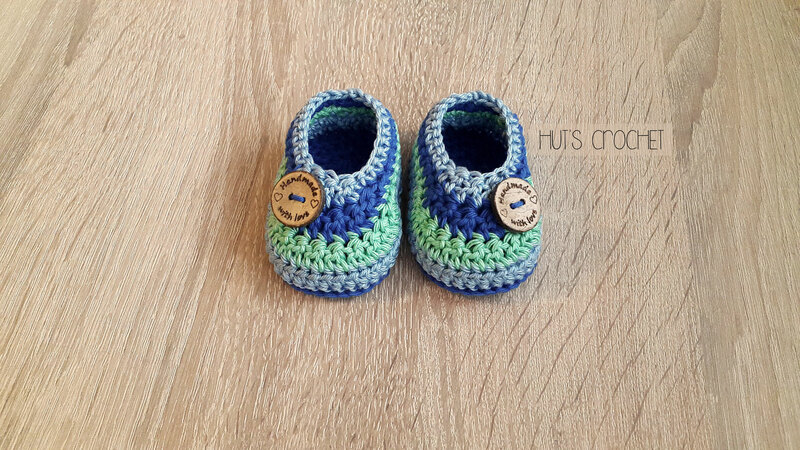 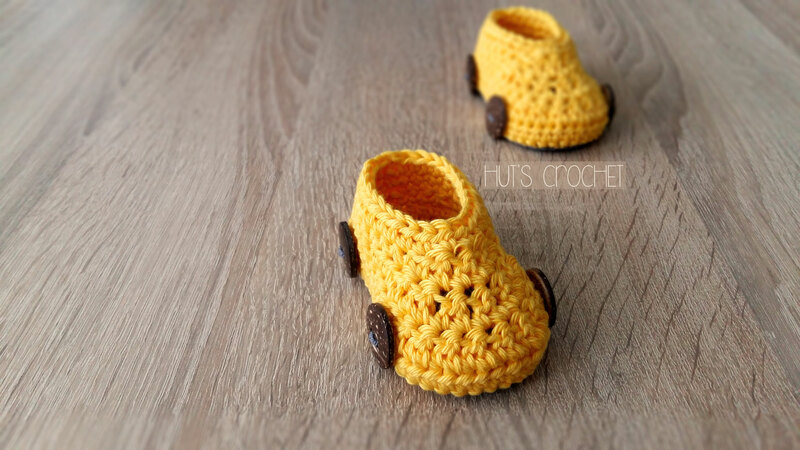 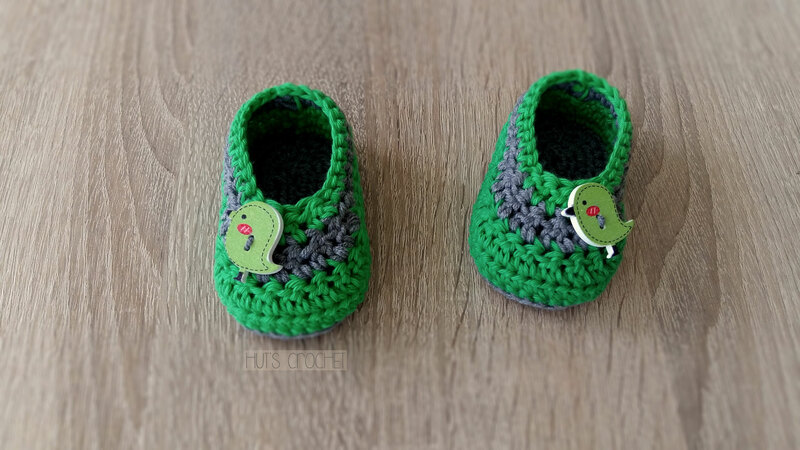 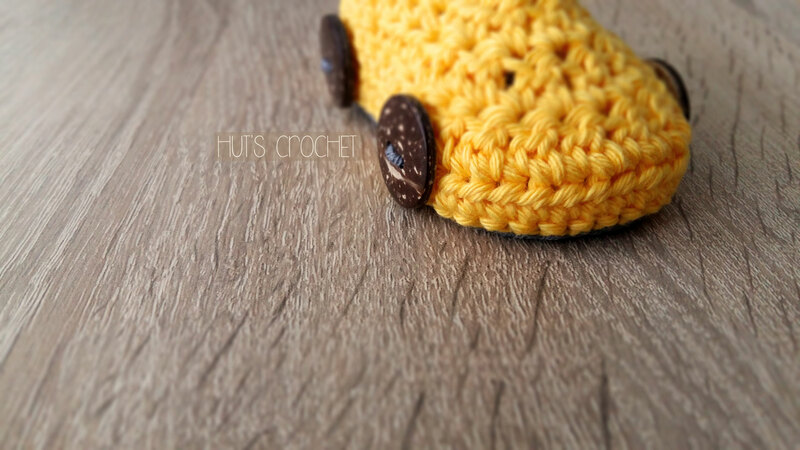 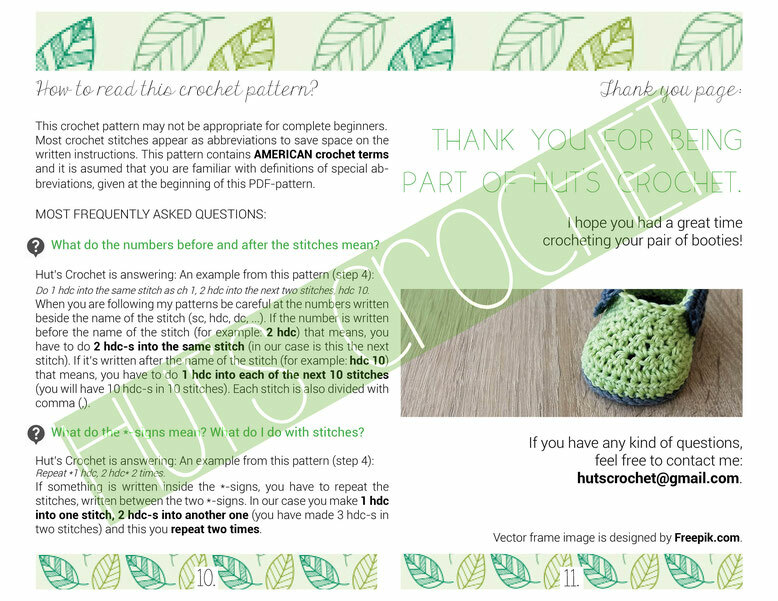 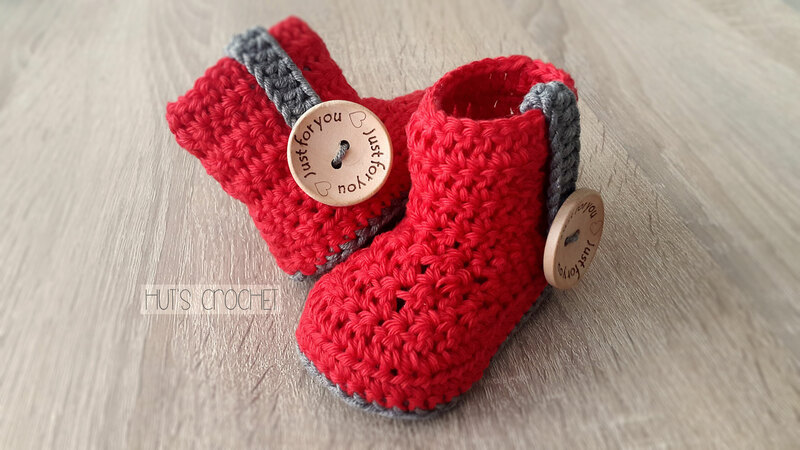 Hut's Paradise - Crochet baby booties - Welcome to Hut's Crochet's Webseite! 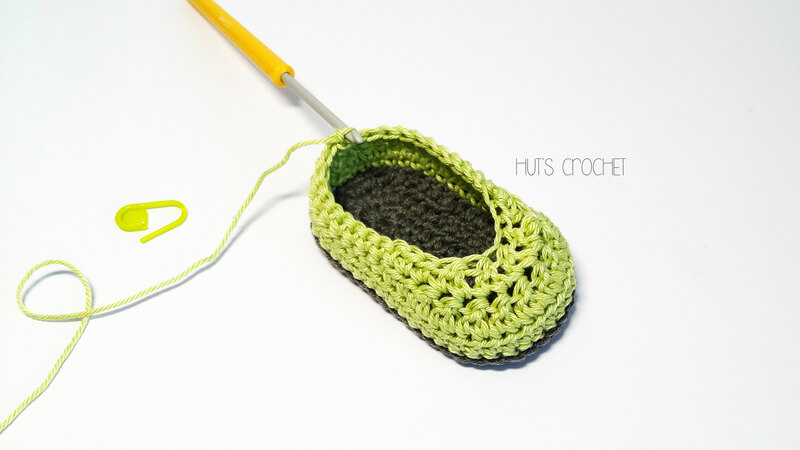 Hut's Paradise is the name of my first crochet pattern as a Hut's Crochet designer. 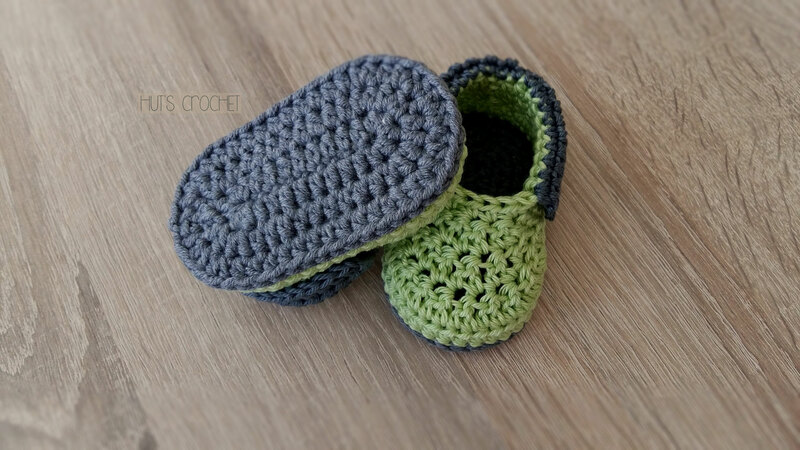 For my first project I wanted something fresh and something different. 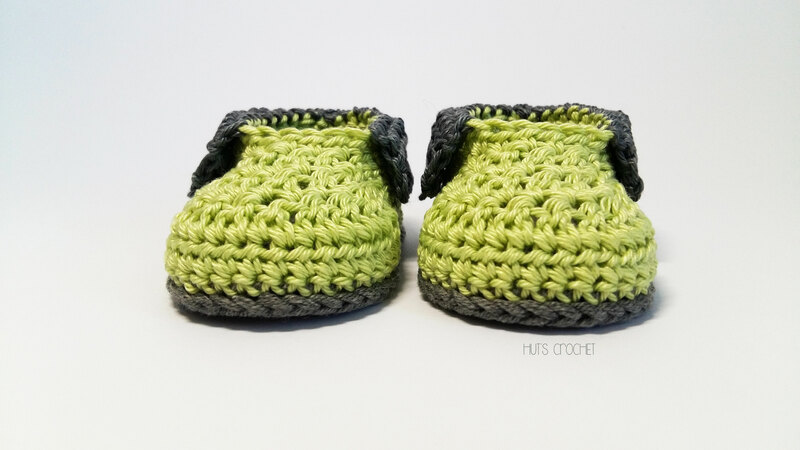 This booties are designed for both gender, so they can be made for everyone. 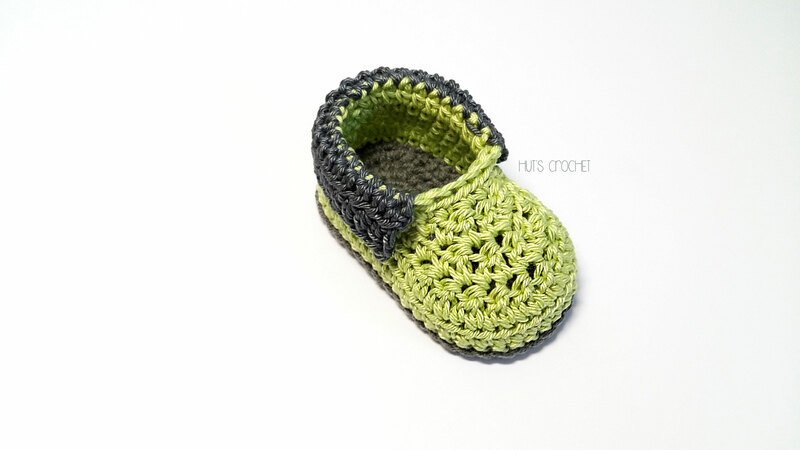 They are perfectly rounded and comfortable with a hint of elegance. 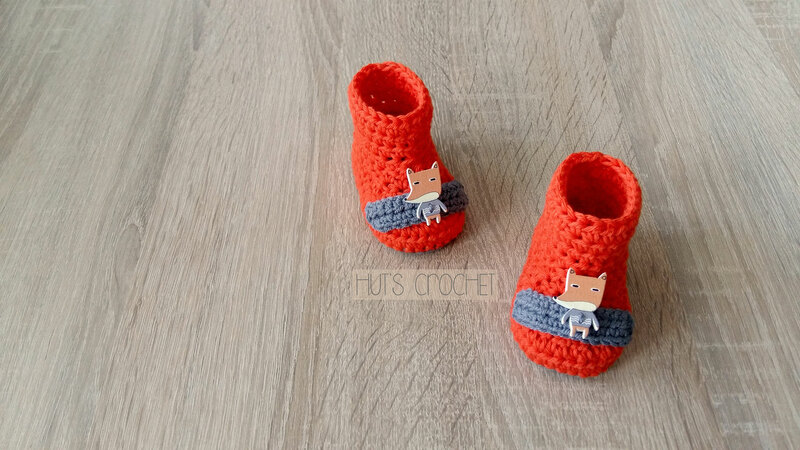 With the word paradise we usually describe a harmonious world where everyone enjoy. 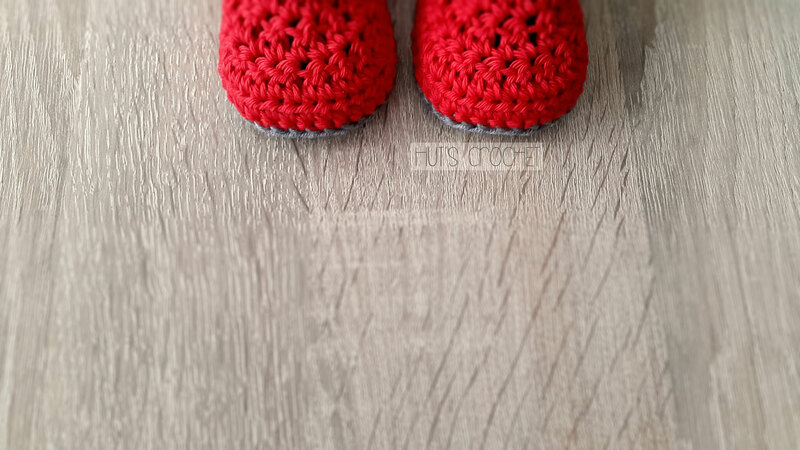 A paradise is a place where you don't have to worry about a thing, where you can find the hidden beauty of our world and your inner peace. 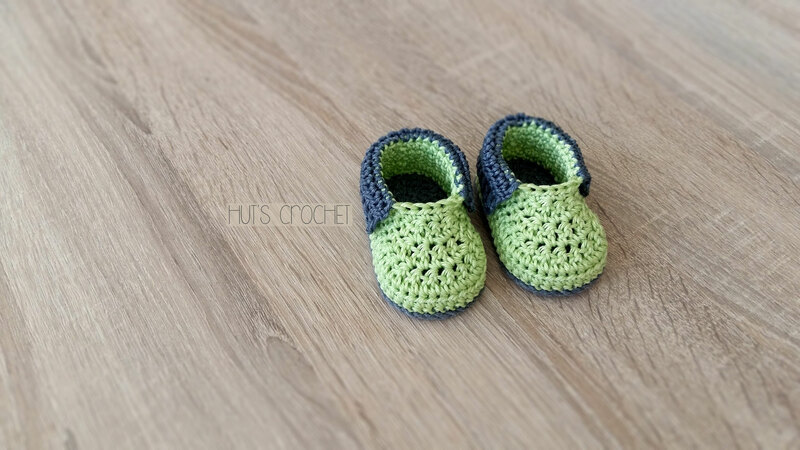 I would call it a paradise, when there would be enough for everyone. 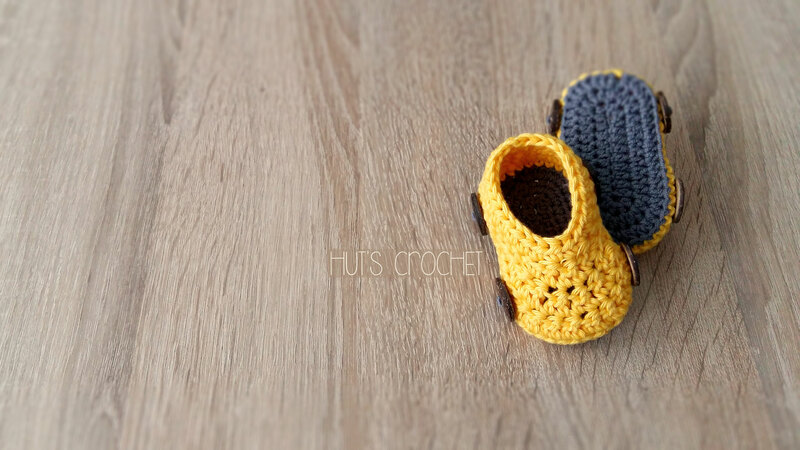 A place filled with happy people. 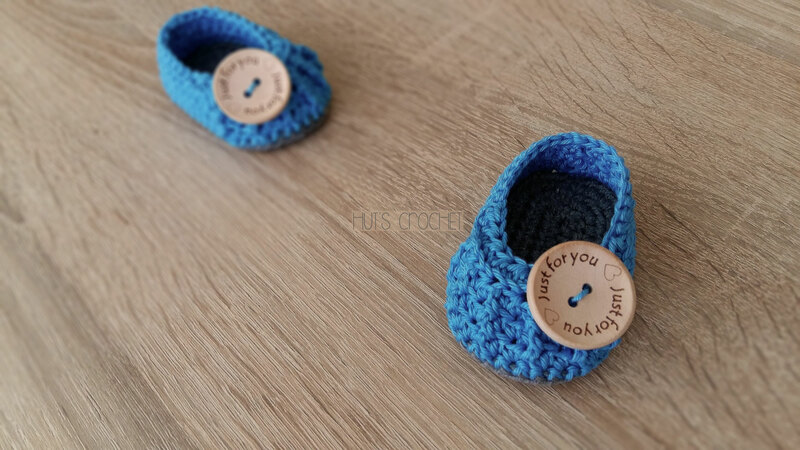 This is my gift. 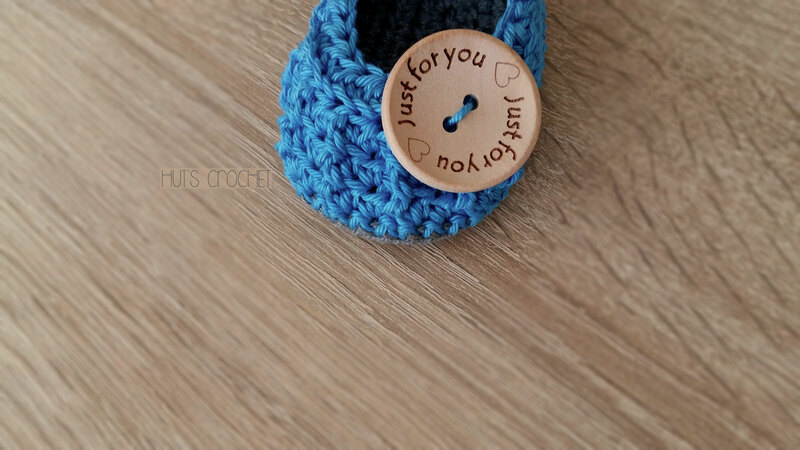 For you. 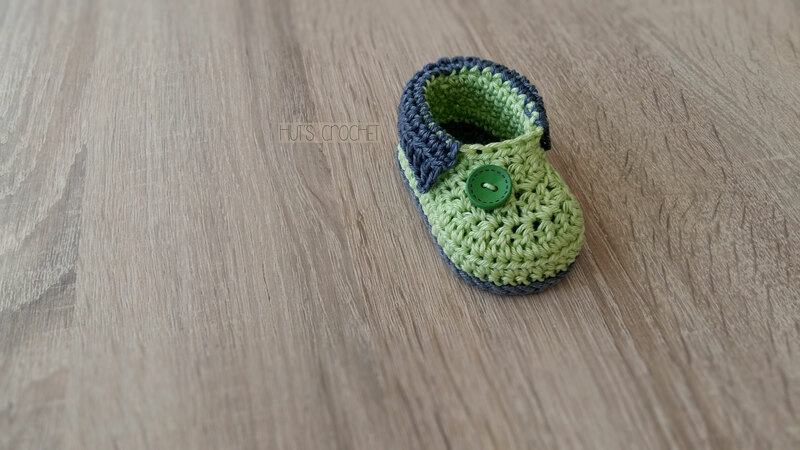 - Schachenmayr Sun City wool for 3,5 - 4,5 mm hook (G: 18S&25R in 4 inches/10 cm) - I used grey, Schachenmayr Catania wool for 2,5 - 3,5 mm hook (G: 26S&36R in 4 inches/10 cm) - I used light green and grey for the upper part.